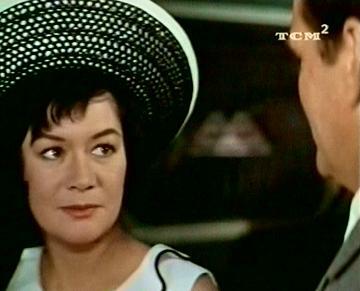 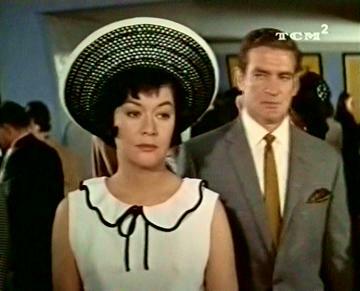 In this early entry in the James Bond-inspireD spy spoof genre - based, ironically, on a book by later Bond writer John Gardner - Rod Taylor plays Boysie Oakes, an inept Second World War American tank commander who is recruited by British Intelligence as an assassin, unaware that he cannot actually bring himself to kill anyone. 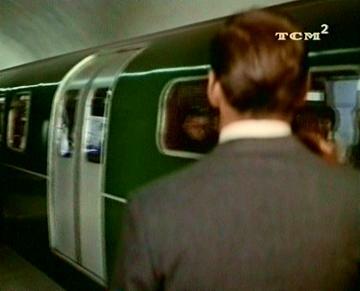 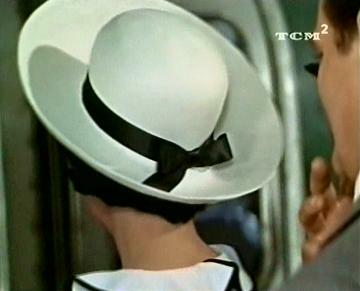 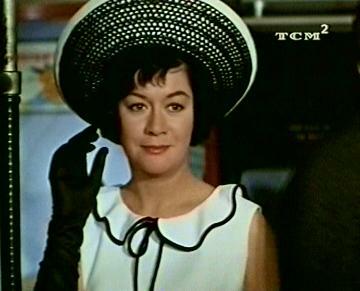 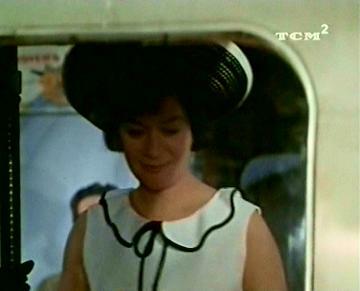 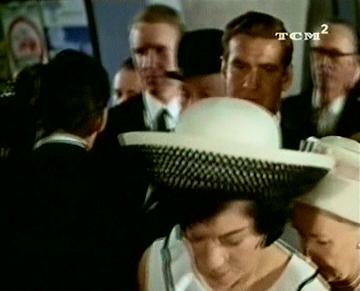 Early in the film, Oakes tries to push potential security risk Frances Anne Chandler (Betty McDowall) under an incoming Waterloo & City line train on platform 7 at "Bank" station, but bottles it, and pulls her back at the last minute, leaving her with the impression that he has actually saved her life. 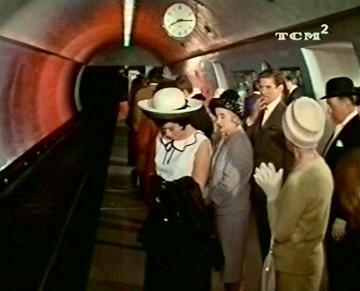 Oakes that "sub-contracts" the hit to Griffen (Eric Sykes, of all people), who duly propels her under a train on another day with a prod of his umbrella. 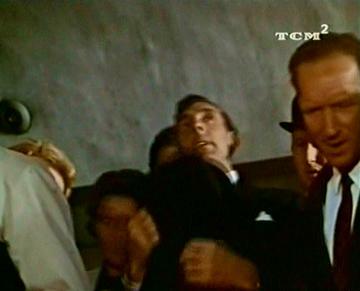 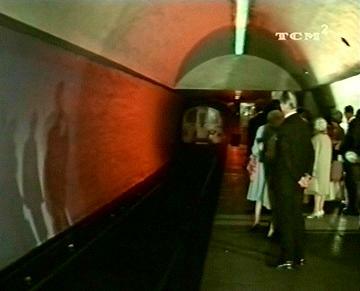 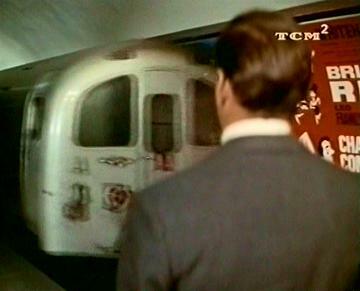 Interestingly, no attempt was made to portray the station as a London Underground one, with Oakes's handler (Trevor Howard) merely suggesting beforehand that the killing could be "a rail accident." 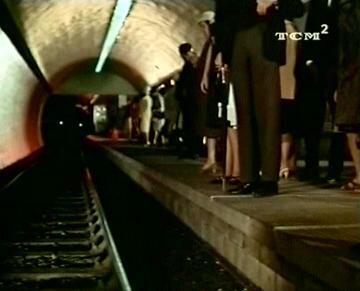 Even so, one shot filmed on platform 8, showing a train runing out after Boysie's botched efforts, does give the impression of a through station rather than the actual terminus. 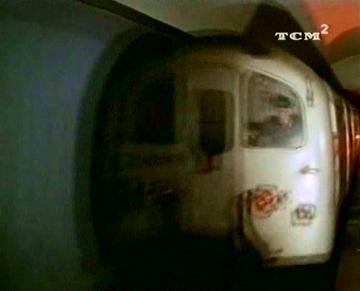 The W&C was at the time being run by the national British Rail network, having inherited it from the earlier Southern Railways, and there are good views of the line's unique 1940 English Electric-built Class 487 rolling stock.